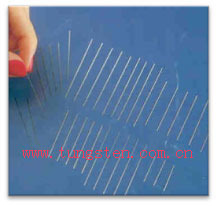 What is tungsten carbide needles? Our tungsten carbide needles are perfect for filing precise shapes into carbon fiber. 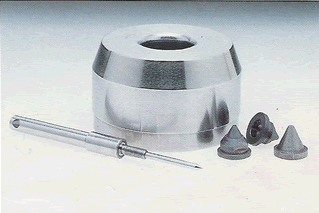 The needles are made from mild steel with tungsten carbide welded onto them. The needle will cut in both directions meaning they will remove material much quicker than conventional needles and leave a clean edge without fraying or cracking carbon fiber or other composites. The tungsten carbide is incredibly hard wearing and will not lose its edge or wear off. These tools will provide you with years of faithful service and are a must have for detailed carbon fiber work. This half round needle is one of the most useful shapes and is perfect for smoothing out the inside of curved cuts (like cuts for dials), cutting tools, drill bits and finishing recesses cut in dash panels for lights etc. It is also invaluable for finishing rounded slots in bonnet scoops or engine bay mods. Open up a hole (if required) with a drill or wheel first then use the needle in a conventional way to finish a slot or edge, working gently and smoothly.